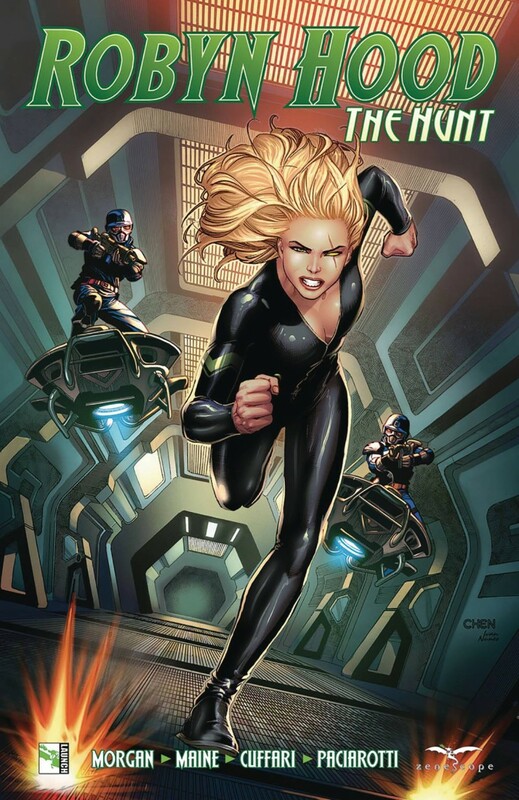 Collects ROBYN HOOD THE HUNT #1-6. Robyn has finally taken down the monsters and villains that have plagued New York for far too long. Now, with the streets safe again, Robyn unfortunately isn’t going to get to enjoy them. After being transported to an otherworldly, high tech, maximum security prison, she must fight for her life from some of the very creatures she has placed there. Will she survive with enough of herself intact to get back to the city she calls home?